A basic principle of electricity is that electrons flow through a circuit. They're pushed from the positive terminal of a battery through the wiring until they return to the negative terminal of the battery. The two methods of modifying a circuit are called parallel and series. In the former, the electrons can travel through multiple paths to reach the negative terminal of the batteries and the voltage of the circuit is equal to the voltage rating of the batteries. In a series circuit, the electrons can only travel along a single circuit, and the voltage is multiplied by the number of batteries being connected. Strip the insulation from both ends of the wires to expose 1 inch of bare wire. Be careful not to cut into the wire. Using a clamp, connect one of the wires to the positive terminal of one of the batteries. Connect the second wire to the positive terminal of the other battery. Connect the loose end of one wire to the negative terminal of the second battery. Do not connect the positive and negative terminals of the same battery together. Connect the loose end of the second wire to the negative side of the voltmeter. In usage, the voltmeter will be replaced by a load source such as a light bulb. Connect the remaining loose wire end to the positive side of the voltmeter. The voltage reading on the meter should be double the voltage of the batteries being used. Be careful to match the voltage rating of any load sources you connect. Using excessive voltage will result in damage to the load source. Never connect the negative and positive terminals of the same battery together directly. Doing so will cause a dead short and may damage the battery or cause an explosion. Golden, Roger. "How to Wire a Battery in Series." 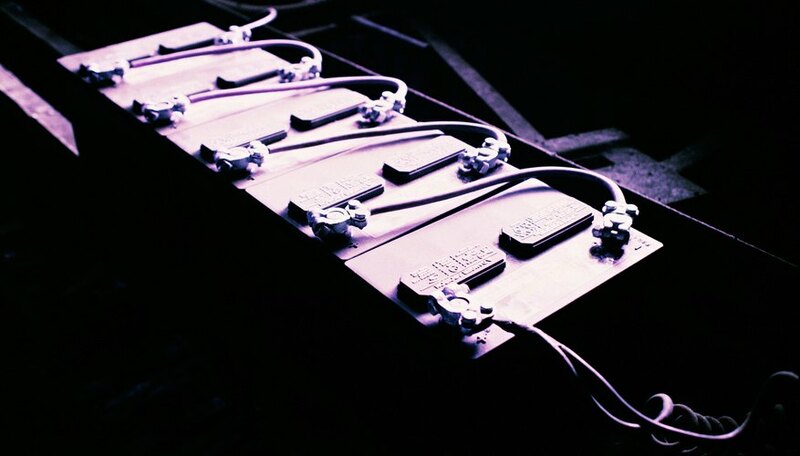 Sciencing, https://sciencing.com/wire-battery-series-12274150.html. 25 April 2017.